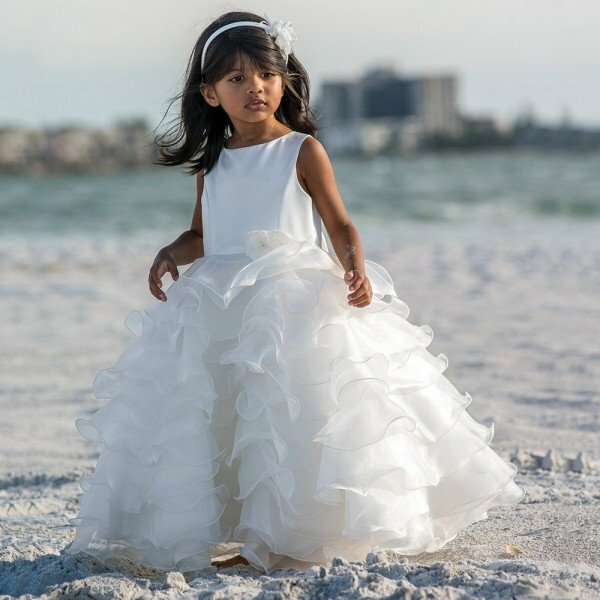 Calling all flower girls, this is the dress that will thrill the bride and groom. 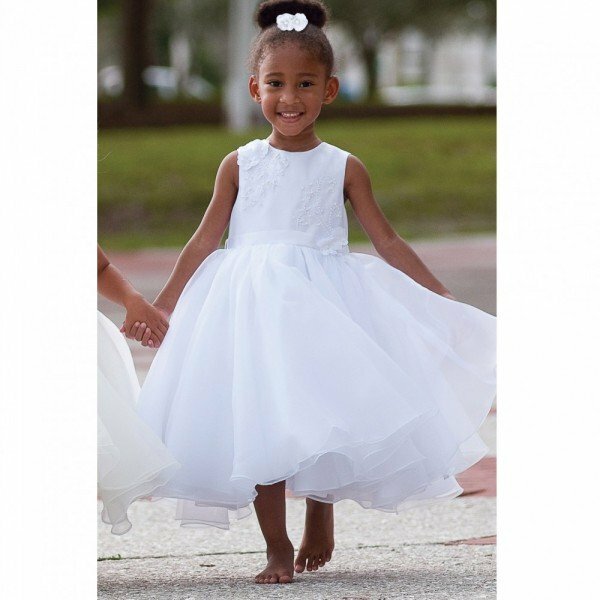 Love this classic beautiful white ballerina length dress by Sarah Louise. It has oodles of volume with layers of tulle netting and frilled satin. This dress will win in any twirling competition! 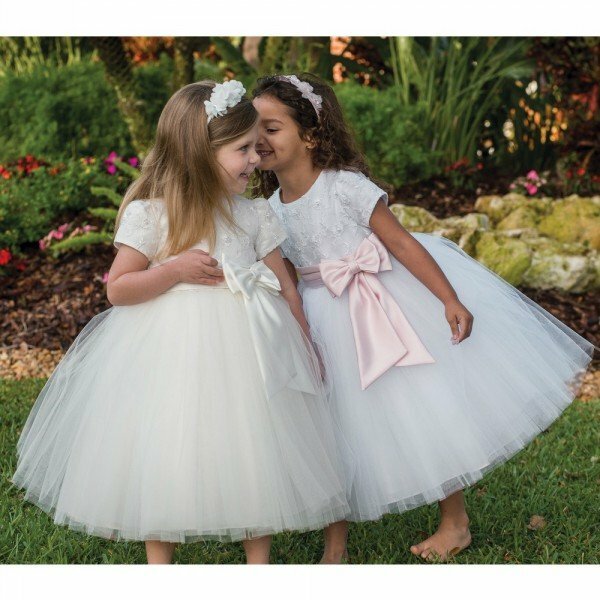 As if it wasn't gorgeous enough, Sarah Louise designers chose a floral embroidered organza bodice and beaded the sleeves with sequins for the extra royal look. Your little dress will be extra comfy in this dress with its fully lined silky smooth satin that's extra soft against the skin. Best of all – the pleated pink satin belt with a large double bow in front. Also comes in a white bow for those who like to keep the pure white dress look. Complete the look with dress shoes, little princess clutch purse and headband.